Ballet Magnificat are the World’s Premier Christian Dance Company. 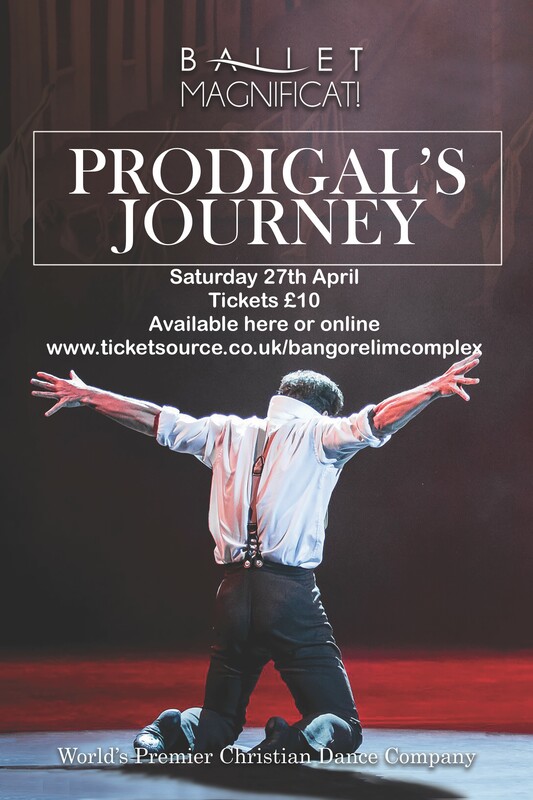 Their performance of ‘Prodigal’s Journey’ in Bangor will be their first ever visit to Northern Ireland. Here is a little more about what will certainly be a stunning production. ‘Life in a small town is shaken up when a husband suddenly forsakes his loving wife with the desire to be free and find lasting fulfilment. Heartbroken, his wife struggles to forgive him and eagerly awaits his return. The journey that he thought would bring pleasure ends up producing only sorrow and regret. After reaching the “dead-end” of a lifetime, the husband reaches for his wife’s bible for the very first time. He is lead to a story of Hosea, a prophet, and Gomer, a harlot. Tickets are priced at £10. Click here to buy yours on the Bangor Elim Complex website.